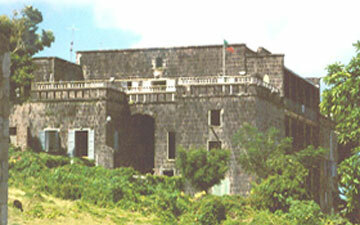 The island of Nevis is situated in the Caribbean and is the sister island of St Kitts. The island has a population of 12,000 and is noted for its beautiful tropical climate. Tourist and home buyers come to the Caribbean looking for the excitement of pounding kettle drums, loud colorful festivals and all night rum soaked beach parties, this is not the case in Nevis being a peaceful tranquil island. The island provides all its residents and visitors with the simple pleasures of life and spending the day laying on the beach soaking up the rays is a possibility every day thanks to the gorgeous climate. If you find that being on the beach somehow gets tedious, you could always enjoy climbing the islands volcano, explore the rainforest or visit the old plantation ruins and all in a tranquil setting. 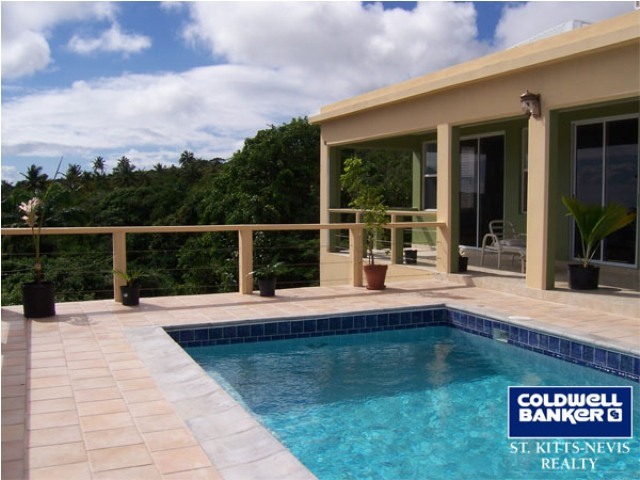 Nevis is the ideal setting to choose a new home especially if relaxing is the top of your requirement list. The island offers home buyers a wide choice of select properties such as spacious luxurious villas with scenic views over the Caribbean, luxury condos and as well town houses with large gardens for the family to enjoy. Many of the garden properties have private pools and areas for the children to play as well as BBQ areas. Condos are normally located in the larger cities are villages and central to that area. The main reasons so many people are purchasing property in Nevis is due to the wonderful climate, beautiful surroundings, breathtaking scenery and the excellent opportunities for activities and adventure. |Another of the reasons is that the island is great for work and schooling and has many opportunities for those looking to move to another country, gain a passport and take advantage of tax free living. The Citizenship by Investment Program is one of the longest standing and most respected of its kind and offers all participants excellent living conditions in stunning homes along with visa free entry into over 120 countries and the ease of tax free living. 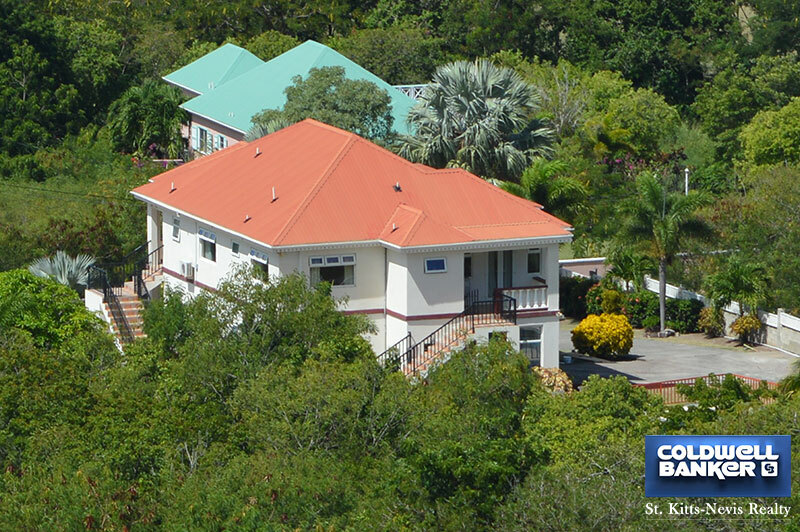 The real estate on offer here is outstanding and no matter where you want to be, you are sure to find the perfect property within your ideal surroundings here in Nevis. Many people choose to take part in the scheme and bring their business along with them or start a new business, others choose to find work within the thriving tourism sector or other equally prosperous sectors. The schooling on Nevis is very good and there are a good choice of public and private schools and because the language on the island is English, the children will have no trouble at all settling in to their new schools. The tropical climate allows you to enjoy the outdoors more than you could ever have imagined and families and friends will find themselves trying out new and exciting hobbies and adventures. The currency in Nevis is the Easter Caribbean Dollar which is tied to the US Dollar and US dollars are accepted everywhere on the island, so what could be easier?! The real estate in Nevis is absolutely excellent, there is a huge choice of Condos, town homes, houses, single family homes and land ready for you to build your dream home on. The homes here are all incredibly luxurious and have beautiful views of this pretty island, you can choose from homes with sea views own pools and even maybe a home cinema right down to modest homes and condos perfect for smaller families and couples all just as luxurious as the larger homes and very comfortable with all the little extras you always dreamed of. If you are a nature lover, just imagine waking up each morning to the sight of the sunrise over the stunning countryside hills and in the distance the magnificent volcano, just magical! 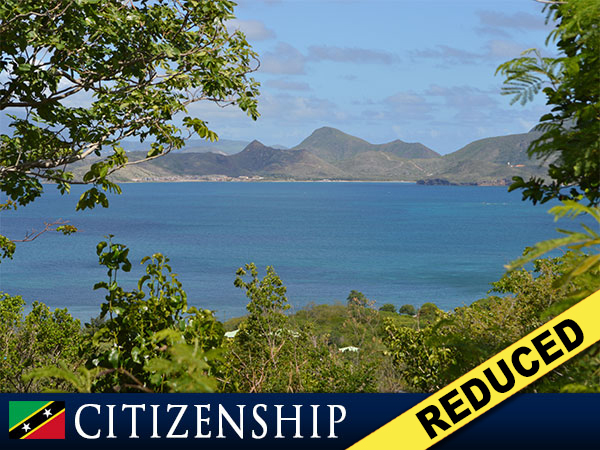 The Citizenship by Investment scheme is a very popular program for many expats looking to move to the island and there is a huge choice of property which is approved by the government especially for this scheme. The beauty of the real estate option is that participants are guaranteed a return on their investment when they choose to sell their homes after 5 years of owning them. So not only are you changing your life and living in the lap of luxury in one of the most beautiful islands in the world, you are also securing a future for you and your family for years to come. 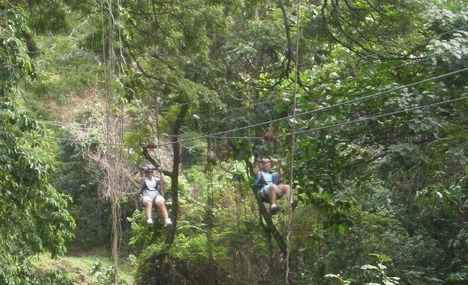 The weather allows for a great many outdoor activities and adventures on Nevis with historical landmarks, rainforest to explore, beaches to relax on, fun activities for all the family to enjoy and much more. A visit to Nevis can be as relaxed or busy as you would like it to be and there is a great choice of all different things to do which will fill each and every day of your vacation. If you are a new resident here taking part in clubs or taking up new hobbies, this is the perfect way to integrate yourself into your new community and get to know your new neighbors. Your weekends can be fun filled with new experiences or relaxed on a beach soaking up the sun and forgetting about your work during the week. If you like water sports, you have come to the right place with many opportunities for diving, snorkeling, fishing, boating and many other water based activities. Customized Island Tours - You can hire a car service or a taxi for a flat rate island tour as you can rely on your driver as your expert guide for the day taking you to all the must see sights based on the types of things that interest you the most. 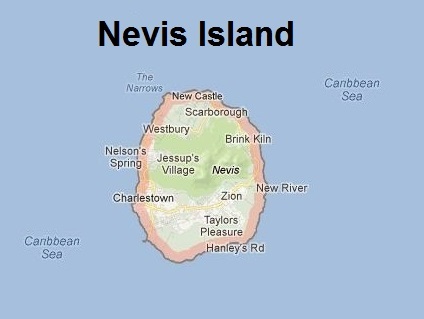 As Nevis is so small your driver will likely know every area and almost everyone that he passes. If you want to see the island from the ocean, take a guided kayak tour. An expert guide will tailor your trip specifically to you taking in account all the different ages and skill levels of your group and will show you all the best diving spots along the way. Historical Exploration - Whether you are interested in the 19th century sugar mills or Alexander Hamiltons childhood home, Nevis is dotted with sites that will amaze any history buff. The museum in Charlestown is a great way to learn all about the past of this fascinating island along with Montpelier Estate where esteemed British admiral Horatio Nelson was married in 1787. Nature Trails - Explore and discover all the natural wonders of Nevis by hiking one of the islands many nature trails or you could even hike up to the top of the famous Nevis Peak. 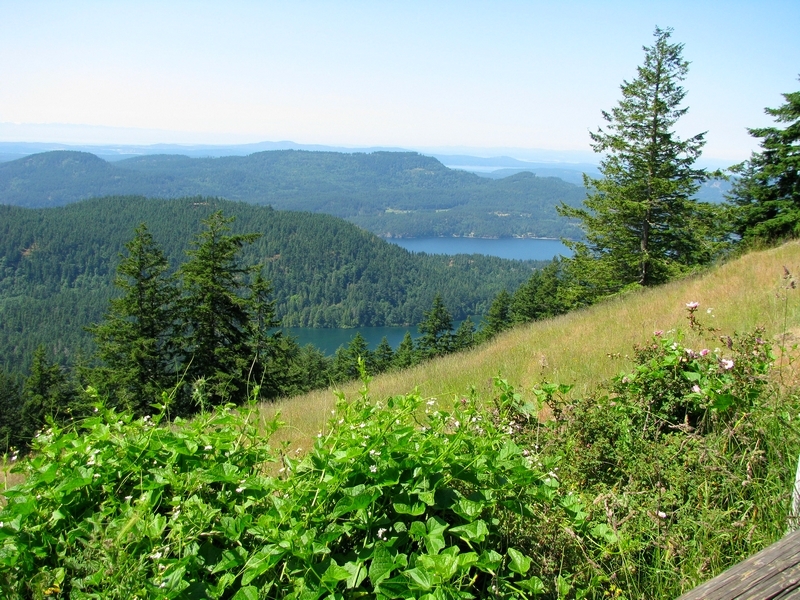 The dormant volcano is 985 meters high and has an assortment of trails to choose from. 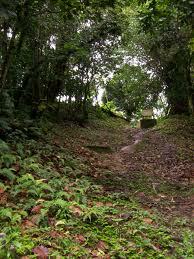 The saddle hill trail will lead you through tropical foliage where you will see the battery ruins where Nelson was stationed in the 1780`s. 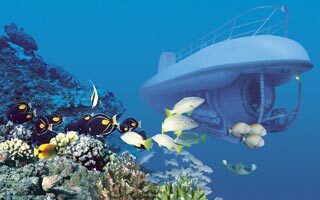 Under Sea Adventure - Nevis may be famous for its fabulous coastline and beautiful white sandy beaches, however the underwater world is just as magnificent and beautiful. Scuba diving on Nevis is a must do activity and one that you will remember for the rest of your life. With over 40 dive sites to choose from, stunning reefs, caverns and ocean creatures, you are sure to be wowed by the experience of diving off our beautiful island. Diving is available for both experienced and beginner divers and lessons and equipment hire is readily available at all dive sites. Outdoor activities - With such wonderful year round weather, this is the perfect place for sports lovers. There are many local activities to join in with such as soccer, horse racing and kite flying. If you're a new resident, you can take part in many activities to get to know your fellow Nevisians on the island and if you are a visitor it can be a great addition to the fun you will already be having on your vacation. The Weather in Nevis is absolutely perfect all year round, with endless sunny days, very little rain and stable temperatures which vary very little throughout the year. Nevis can see a little rain in early October and November and a few tropical showers may occur, however any rain will be short lived and the sunshine will be out again in no time. The weather on Nevis makes every day perfect to enjoy the beach or one of the many activities available on the island and if you are considering moving here for a complete change of life, you have come to the right place! Sun worshipers, history buffs, nature lovers and sports enthusiasts will be catered for perfectly and will be entertained at any time of the year surrounded by gorgeous sunshine and breathtaking scenery! The only only airport on Nevis is Vance W. Amory International Airport which is served by many international airlines and receives many flights each day from all over the world, so you will not have a problem in reaching Nevis, as Nevis is so small it will only be a very short trip to your accommodation no matter where you are staying, so you can arrange for car hire or taxi once you have arrived at the airport. While you are fortunate to be staying on our little island you will likely want to get out and about to explore your surroundings, take part in activities and of course search for your dream home here. There are several options available to you for this, the first and most popular is car rental, there are many car rental companies which will have a car or jeep of your choice delivered to your villa or will even pick you up from the airport on your day of arrival. Should you prefer not to drive while you are here, you can make use of the taxi services, which although are not cheap they are very convenient to take you to out of reach places which you would not visit by public transport. dollar buses are another popular mode of transport and will take you to Charleston along with other parts of the island every half hour. If you are feeling energetic, you can easily hire a bicycle to get around and if you would like to visit St kitts while you are here the ferries leave Charlestown 3 times a day and take 40 minutes. If you are joining the many expats here in Nevis and have decided to search for the perfect property within the Nevis island, it will definitely be helpful to you to consult an expert real estate agent. It is always advisable to speak with a reputable and reliable agent so that you are fully aware of the whole process of purchasing on the island, which may be obviously different to that of your home country. This beautiful little sombrero shaped island will grab you as soon as you arrive, the tranquility and peacefulness will surround you and you will be taken back in time to days when life was much simpler. The fascinating history of this wonderful island will enthrall any history buff and an exploration of some of the historical sites will leave you speechless as how much this little island has gone through over the centuries. The activities available here are excellent whether you're a visitor or a new resident and the locals warm friendly welcome and helpful nature will make you feel at home right away. The weather is wonderful all year round which is just one of the reasons so many people visit regularly and why so many others choose to purchase real estate. The real estate is great and the choice is outstanding, whether you're looking for sea views or want to be surrounded by nature you will find the perfect luxurious property to suit you and your family. There are large homes on offer with private pools, close to the beach and in gated communities for extra security with all the amenities you could need right on your doorstep. The choice of condos and smaller homes is huge also and whether you are looking for a large or small home you can rest assured that the luxury of each property will remain the same throughout the island. Nevis is a special place that will seduce you and stay in your heart long after you have left.